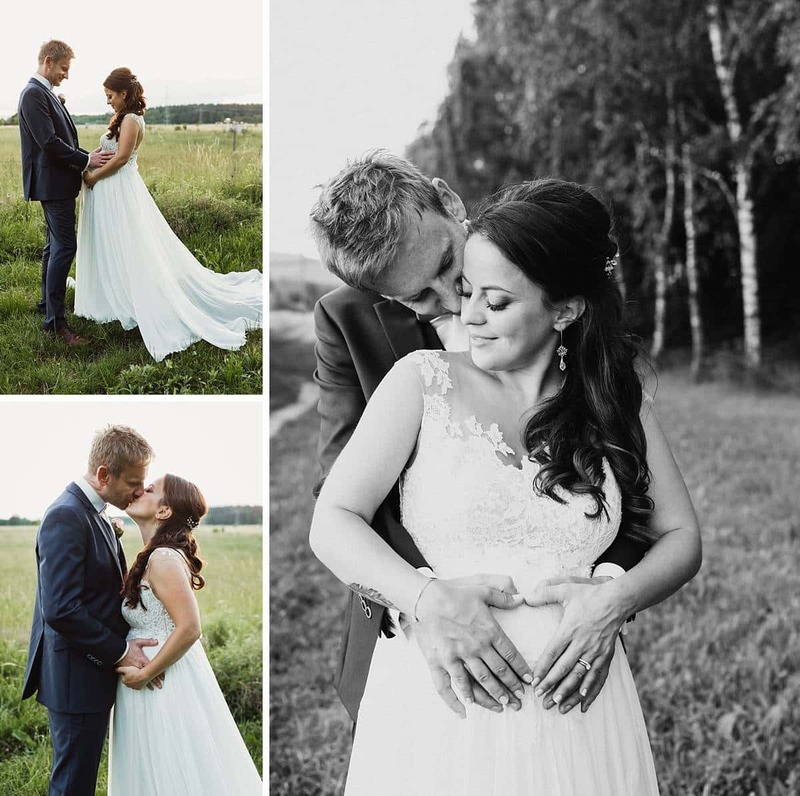 On the 2nd of June 2018 THE big day of Caro & Karl was finally here and it was just perfect! 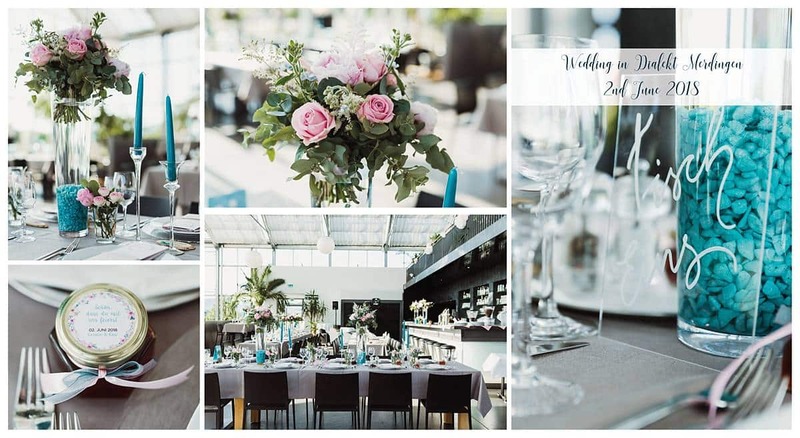 We wedding planners started early in the morning with the decoration of the evening location, the beautiful Dialekt in Merdingen. 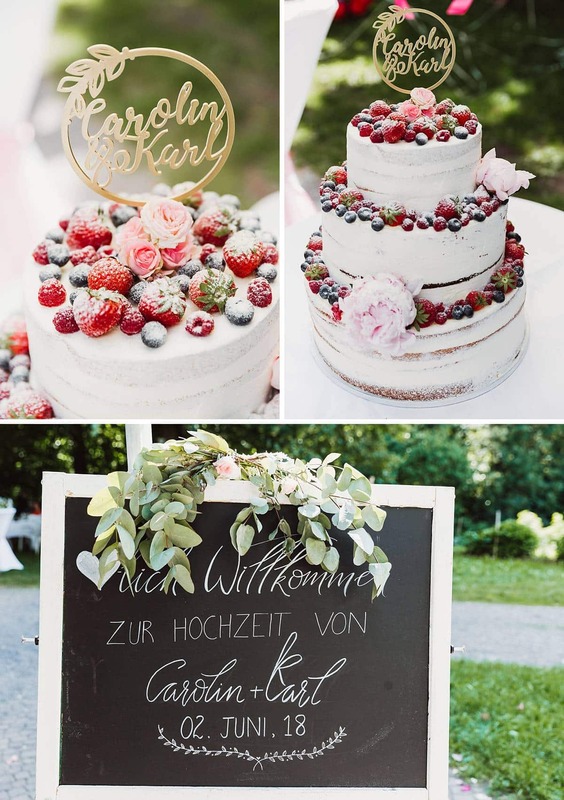 There, together with the florist Laura von Lösslin, large flower vases were set up, candles draped, napkins distributed, name badges laid out, menu cards set up and much more. The wedding design was extraordinary and courageous – everything was kept in petrol and pink, huge peonies in pink combined with stick candles in petrol, an absolute eye-catcher. After the decoration of the evening location, we wedding planners continued going to the Giersberg chapel to Kirchzarten, one of the cutest chapels in the whole area with a fabulous view. We decorated the chapel, built the champagne reception and welcomed the guests. Then it was finally time for the bride and groom to arrive with the great Porsche. As a wedding planner, we have received the two and calmed down the bride. Then they both went to the wedding altar and received God’s blessing. Thereafter, the bride and groom were initiated. The champagne reception was anything but 0815 – there was an ice cream van, a coffee van, sparkling wine, canapes, a great wedding cake and live music, everything the wedding guests heart desires. After the champagne reception, we went to the evening location in a motorcade, where everyone was cordially welcomed with a welcome cocktail. Then there was a delicious tasting grill buffet followed by candy bar. Full bellies were then celebrated and danced until the wee hours of the morning. Dear Caro, dear Karl, a thousand thanks for your trust in us, it was a matter of the heart to organize your day!